Rambles from my makeup box. : Lush - Melting Marshmallow moment. Today was results day - the day I dread (I often think it's worse taking the exams). After a very restless night I was up bright and early to check my results online and I am very pleased to say that I passed all my modules with good grades, overall coming out with a 2:1! So after a long night of stressing away I thought I'd have a nice relaxing day, and there is no better way to relax than having a nice bath from Lush. Melting Marshmallow moment is one of my favourite products from Lush, mainly because of it's smell. I have a massive sweet tooth and when you open this it smells like an old vintage sweet shop. The smell is nice and sweet and I find that it lingers on my skin all day, leaving me smelling nice and fresh. To use this bath melt you simply run your perfect temperature bath, get in and then drop the bath melt in. 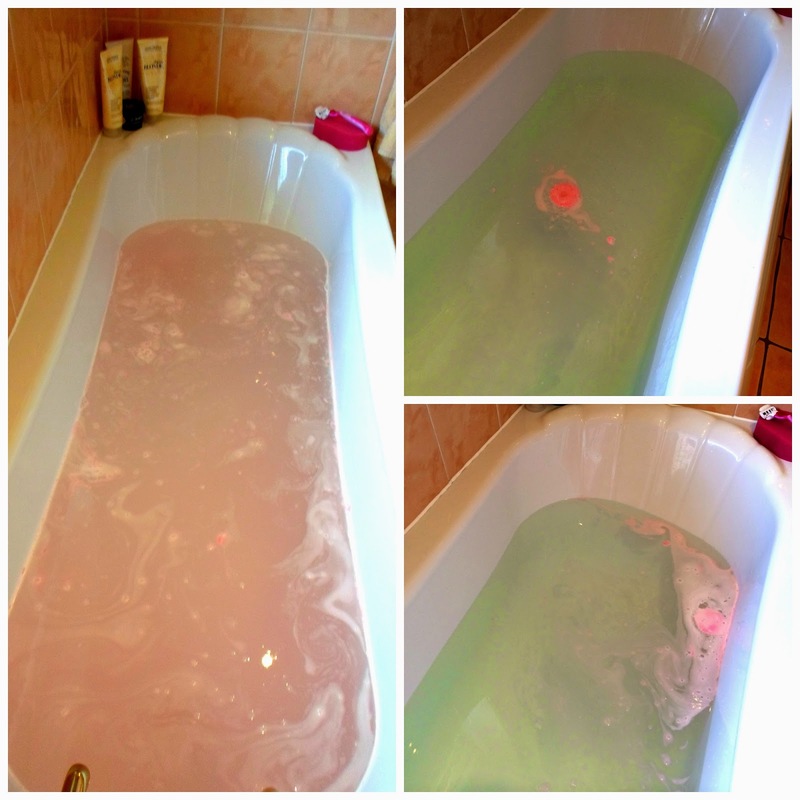 Once the bath melt has been added it will float around the bath slowly fizzing and melting releasing its scent and turning the bath a nice musky pink colour. After using this bath melt my skin stays smooth and soft for the rest of the day, due to its ingredients Marshmallow powder, almond oil and cocoa butter. What makes this product great as well is that Lush don't test any of their products on animals and they are very ethical which I think is becoming a more and more important factor when buying products. This bath melt cost £3.95, which can seem a bit pricey for one bath but you can cut the product up if you want and I think there would be enough for 2 or 3 baths. © Rambles from my makeup box. 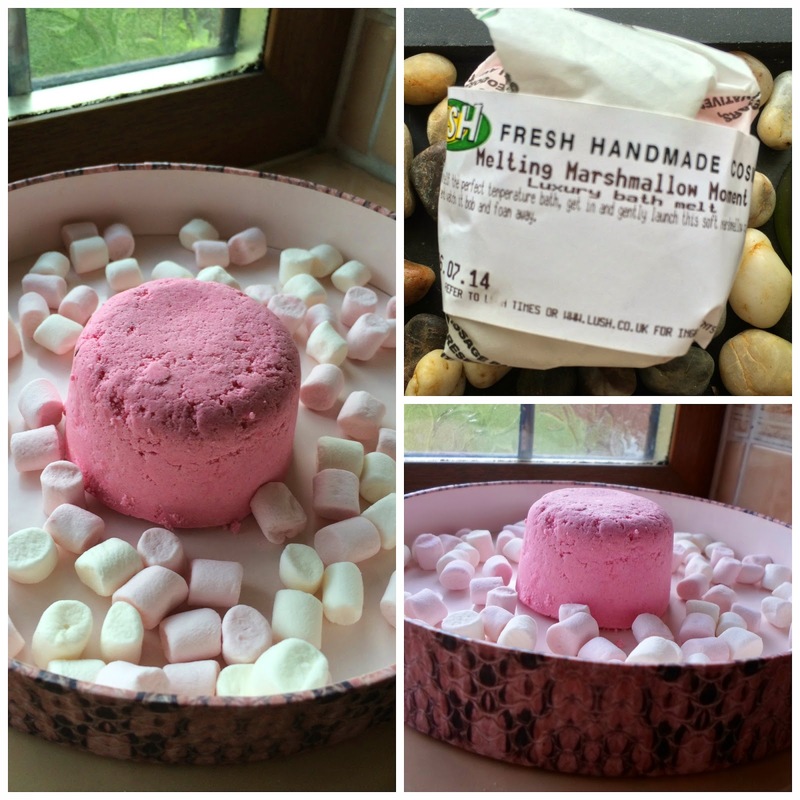 : Lush - Melting Marshmallow moment.